Episode 3 of the ground breaking new zombie apocalypse show; The Walking Dead premiered on November 14th 2010 on the AMC television network. The Walking Dead Episode 3; Tell it to the frogs starts off where the last episode ended. The group that escaped from the mall comes back to camp. Rick, the protagonist of the series has been searching for his wife and kid and is finally reunited with them back at the camp in this episode in an absolutely heart warming moment that will likely bring tears to the biggest zombie fans eyes. Rick’s best friend Shane, and fellow police officer is also at the camp. Shane and Ricks wife, thinking that Rick has been dead this entire time, have secretly been having an affair. 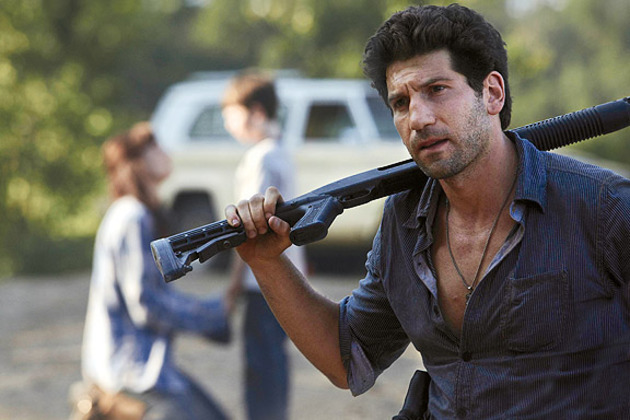 When Rick walks back into camp, it is obvious that Shane is heartbroken, yet happy to see his best friend. Things seem fine, until Merles brother(Merle is the man that they left at the top of the mall in Atlanta) comes back to camp looking for his brother. Rick is forced to tell him that they left him their. Obviously Merles brother is very upset and attacks Rick. Rick, being a police officer, quickly subdues him. Rick, Merles brother, and Glen(an Asian American that knows his way around the city) decide to go back to Atlanta to try and rescue Merle. Right before they leave, they hear a scream and run to go see what is going on. A zombie, or as they call it in the show, a “walker” has made its way up to camp. It is promptly killed, yet leaves the group of campers shaken. 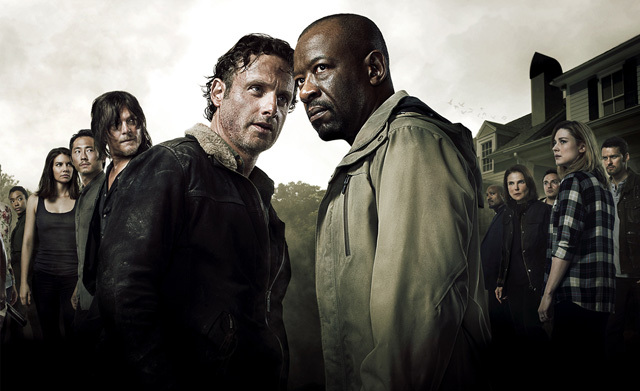 The 3 men leave for Atlanta, and once they get to the top of the Mall find that the only thing left of Merle, is his hand. It is hinted at that he cut his hand off in order to get out of the hand cuffs. The show ends there on a cliff hanger. 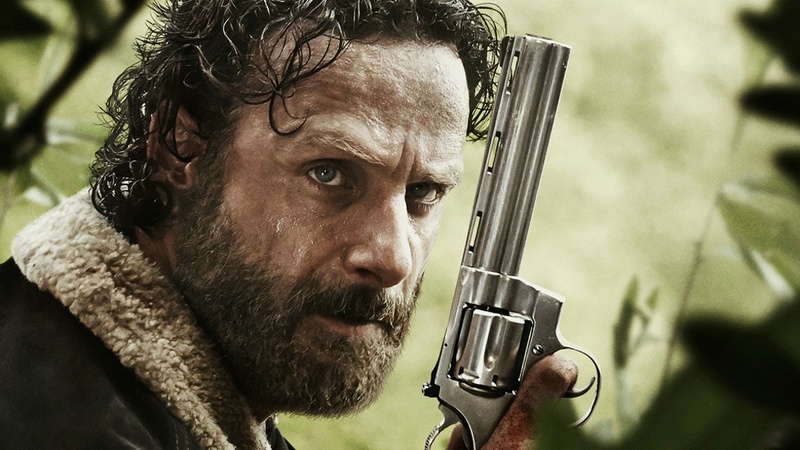 The Walking Dead – Episode 5 – Wildfire! 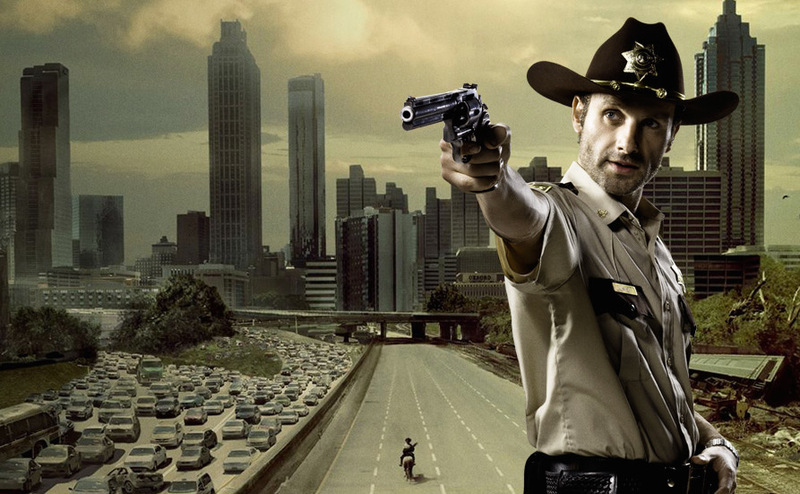 Next Article The Walking Dead – Episode 5 – Wildfire!